Overhead doors, more famously known as sectional garage doors, are the new-age preference with almost all homes and offices that have space constraints and thus, require something simple, yet effective. 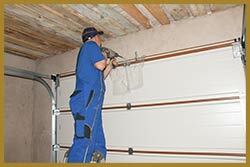 United Garage Doors offers a great range of overhead garage doors you can choose from. Such doors comprise of various compartments that can be rolled up vertically on a track route that leads to the ceiling. Unlike other types of doors, these doors provide the added advantage of not requiring a wide clearance space in front of them. Good weather protective abilities to safeguard the inside of your garage from the harshness of cold winds, rains, snowfall or temperature changes, less to no noise during opening and closure, attractive appeal and robust security are all essential features of a good overhead door. United Garage Doors has a strong team of garage door professionals that have an abundance of expertise in dealing with fixing, maintaining and repairing a wide range of quality overhead garage doors. All our doors are crafted with finest grade components and are built to withstand the vagaries of time. If your home or office needs a door that provides superior operation at minimal cost, you’ll need the help of United Garage Doors. Our specialists can create a door that fits your requirement. We also install added features upon request. For instance, if your home is located in an area that is susceptible to power outages, we can back up your garage doors with a suitable power supply. We can also set up advanced motion detectors that allow easy entry and exit without fuss. 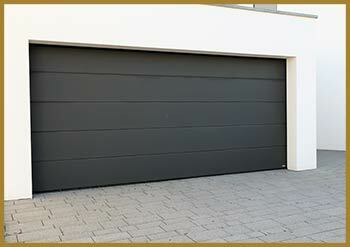 With an impressive assortment of resources and a huge team of talented technicians, United Garage Doors has truly managed to stand its ground as the best garage door service firm in San Diego, CA area. Call us today!